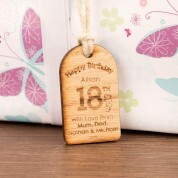 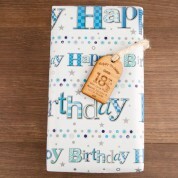 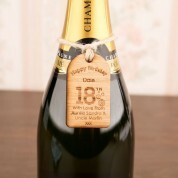 This wooden tag is the perfect accessory for any 18th birthday gift. 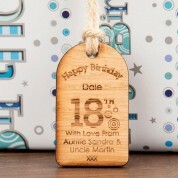 The personalisation details are laser engraved on to to each tag. 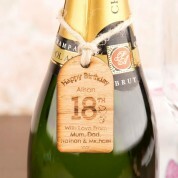 The hanging loop of flax twine is perfect for attaching the tag to the gift or even as a bottle tag. 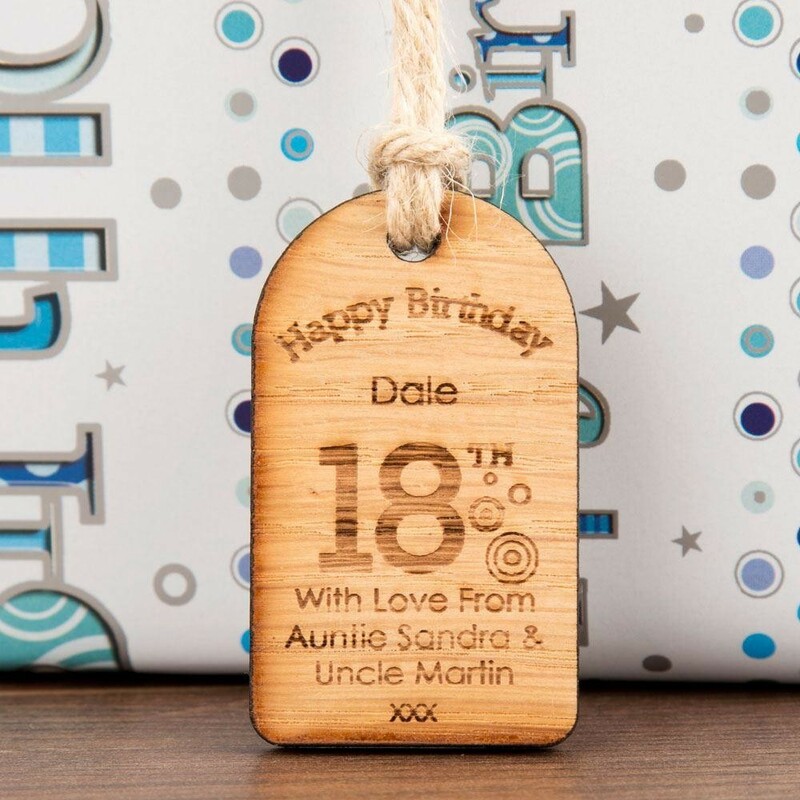 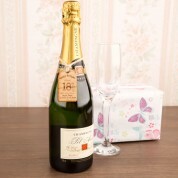 After the event has passed and the gift or bottle has been opened the recipient can hang up the wooden tag in their room on a pin board or on a wardrobe door handle.